Our products and solutions have been deployed in over 140 countries, serving more than one third of the world’s population. Our business language is English: Unlike other players in the industry, we truly offer an English language dominated environment. This means: the opportunity to work in a multinational with people from multiple backgrounds- a deep enhancement for any resume. We seek and reward talent. At Huawei, if you are driven and show results, you will see these efforts rewarded. We have a culture that rewards hard work and dedication. We don’t take people for granted. 18 locations in Germany. 5 Research & Development Centers. 1600+ employees in Germany. Yes, we are growing! We operate globally! We are the largest telecommunications equipment manufacturer in the world, and we are going for more every day. Who wouldn’t want to have this on their resume? We are friendly and we like it that way: At Huawei, we have a nice working environment. Doors are open, and people collaborate with each other in a non-political manner. It’s fun coming to work! We offer international real professional development opportunities. Anywhere you are, Huawei is there! We are diverse, and we embrace it - We have more than 150 nationalities worldwide. 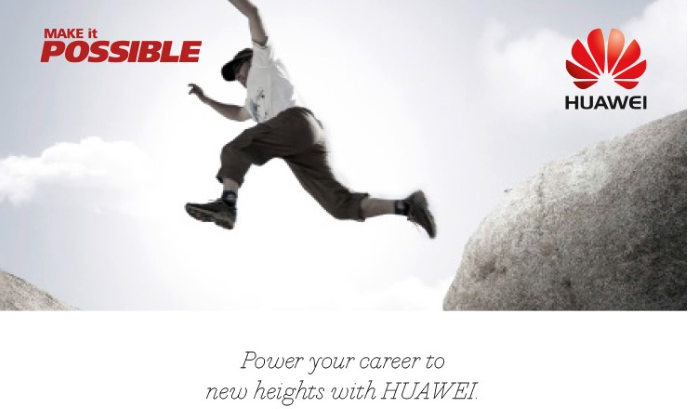 Working at Huawei, not only will you grow as a professional, but you will enrich your life! Please send your detailed Resume/CV (photo attached) in English via Apply Button indicating the position you apply for.